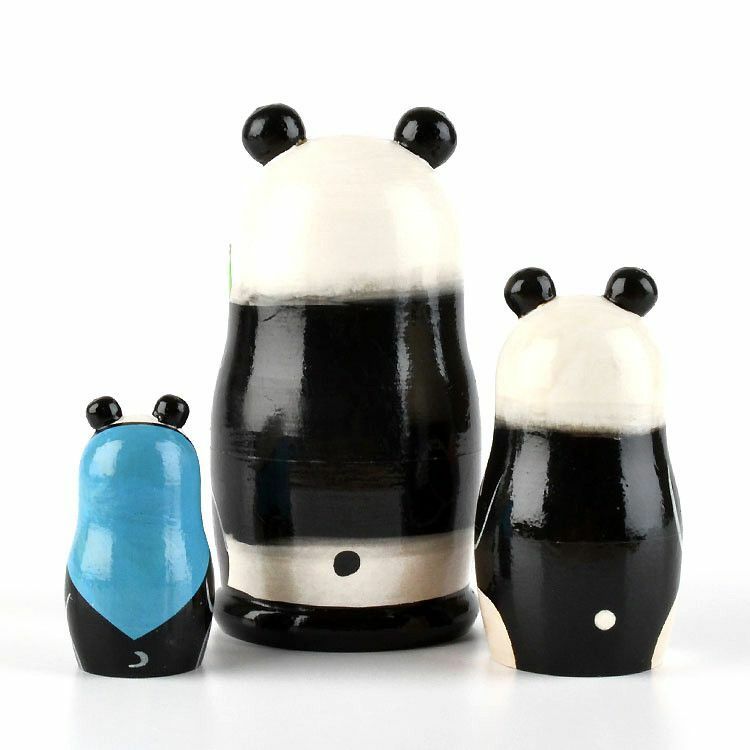 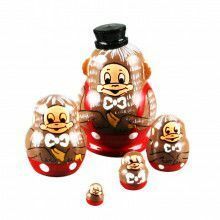 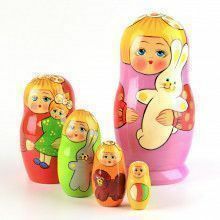 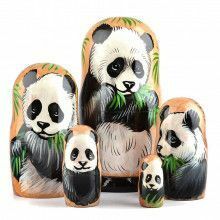 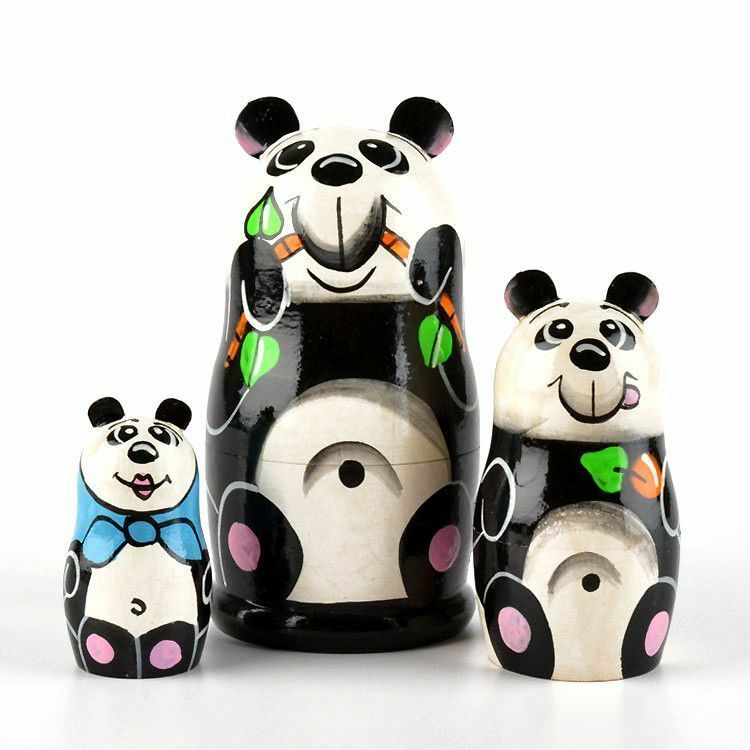 hand-crafted, hand-painted stacking Panda Doll, featuring a family of hungry pandas. 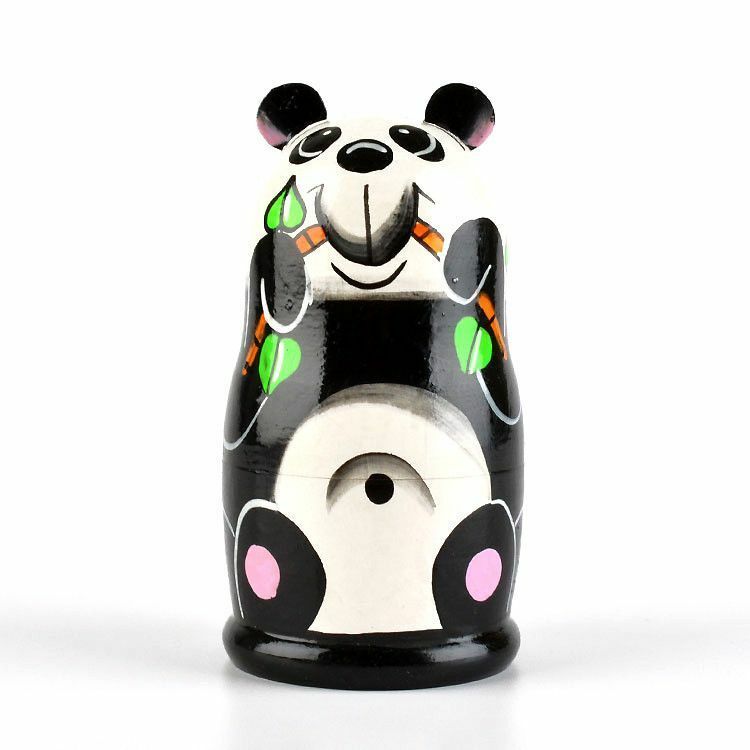 A cute panda nesting doll makes a really cute gift! 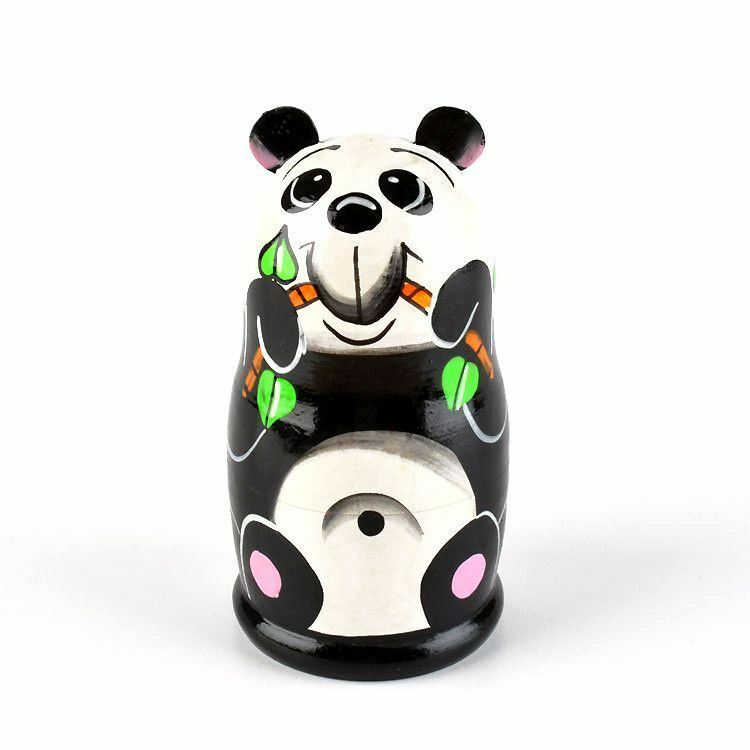 This guy is Approximately 5" tall.